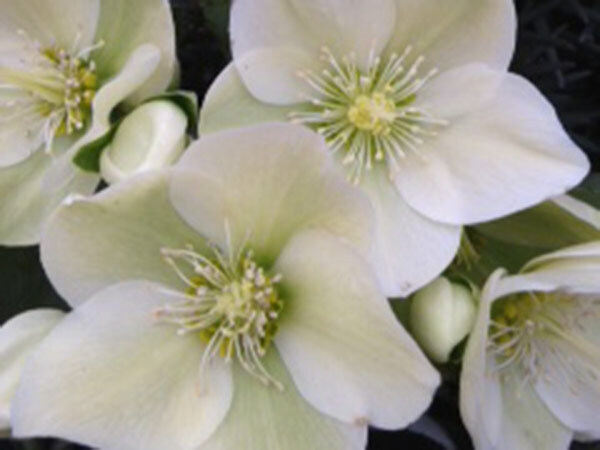 This Hellebore brings cheery white flowers during the coldest of Winter months. A long lived, hardy Hellebore with deep green hardy evergreen foliage and long lasting creamy white flowers that mature to creamy green. Will happily live in partially shady areas of the garden. A rich, moist and well-drained soil is most suitable. Avoid full sun. Can be used singularly or enmasse as a low growing perennial ground cover or as an indoor plant in a cool position. Flowers late Autumn through to early Spring. 30cm height. 40cm width.